Friends also operates a management board. This meets meets on a regular basis to co-ordinate our many projects and our month-to-month activities. We are all volunteers. I am a taxonomist and evolutionary biologist at the Natural History Museum. My research focus is on African freshwaters, especially the species radiations in ancient lakes of the East African Rift. I’ve always had a strong interest in the history and philosophy of science; that, combined with my commitment to making a difference to my local community, made it pretty clear that the Crystal Palace Dinosaurs would become a focus for my efforts. The ‘Dinos’ are stellar for a range of reasons – their construction heralded a major paradigm shift in the history of science, as they were the first life-sized reconstructions of extinct animals; they were ground-breaking for the history of public engagement, as the first big scale edu-tainment on natural history; and they are also just incredibly beautiful and stunningly cool as sculptures. When you walk among them you feel like you are living ‘Where the Wild Things Are’. By preserving these Grade 1 heritage assets and building an educational engagement programme around them, we hope to convey excitement about key ideas in natural science for generations to come. 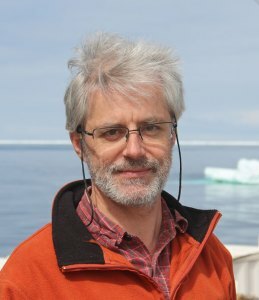 I am a palaeontologist specialising in the fossil mammals of the Quaternary ice ages. I taught palaeontology and evolutionary biology at UCL for many years before joining the Natural History Museum in 2007. For several years I have researched the fossil mammals discovered by Darwin in South America, that were subsequently studied and named by Richard Owen in the 1830s-1840s. This has led to a fascination with this critical period in the history of palaeontology and Owen’s part it in, a period preserved in time, as it were, in the Crystal Palace Dinosaurs. As a mammal specialist I am also at pains to point out that some of the statues are only honorary ‘dinosaurs’, including the giant sloth Megatherium, with Owen’s interpretation of it (then new, but still considered valid) as supported on a tripod of its hind legs and tail; and the ‘Irish Elk’ Megaloceros, with its magnificent antlers, which has special meaning for me as it was the subject of my PhD work. These treasures have to preserved – and that is our commitment as the Friends of Crystal Palace Dinosaurs. I’m a tour guide for Shakespeare’s Globe Theatre and English Heritage; a voiceover artist for Travel Channel and Sony; and an online documentary maker featuring on londonist.com. While producing my ‘Lost Valley of London‘ adventure series, I became utterly enamoured with the Crystal Palace Dinosaurs. To me these sculptures represent everything unexpected, mysterious and exciting about London heritage: the thrill of discovery, the wild-ride of history and the inspiration of human endeavour. 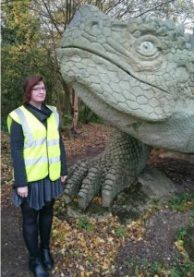 I am honoured to join the Friends of Crystal Palace Dinosaurs and promote these magnificent beasts’ conservation. I’ve lived in Crystal Palace for nearly 14 years. I have a passionate interest in history and love walking and spending time outdoors, so it is perhaps not surprising that I loved the Dinosaurs from the first time I saw them. They can only be part of the future if we look after them now, though, which is why I volunteer with FCPD – we need to make sure that the Dinosaurs survive the next 170 years! I work in postgraduate medical training and sporadically as a freelance journalist. 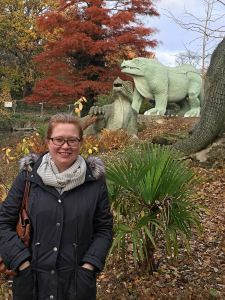 I am a huge fan of the Crystal Palace Dinosaurs and love that they are a snapshot in time and an incredible insight into the history of scientific thought. 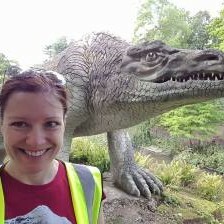 I’m a local with a passion for all things dino-related, and the Crystal Palace Dinosaurs in particular. I’m an ultra-running enthusiast and spend half my waking hours plodding past our dinos in the park, as well as tipping my hat to their pals the sphinxes up the hill. I first heard about the Crystal Palace Dinosaurs in The Usbourne Book of Ghosts, Monsters and Legends when I was a kid, and have been fascinated with them ever since. They’re not just utterly charming to see, but to me they represent the deep eccentricity of the British, and the have-a-go mentality of the Victorian era. Did Benjamin Waterhouse Hawkins and Sir Richard Owen know exactly what iguanodons and megalosaurs looked like when they came up with the statues? No, but they gave it their best shot. Their Dinosaur statues are the spirit of the scientific method – the workings left behind for everyone to see even after the problem has been found to have a different solution. I want our incredible Dinosaurs to be celebrated for the superstars of science that they are, and for the statues to be looked after and cherished for centuries to come. 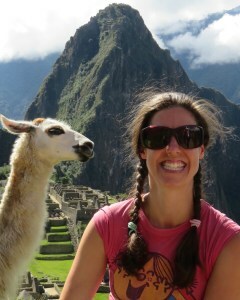 I am a researcher currently based at the Natural History Museum working on Ice Age mammal extinctions. The various sculptures that make up the Crystal Palace ‘dinosaurs’ have therefore always been a source of fascination, in particular the perhaps lesser-known extinct giant deer Megaloceros giganteus and giant ground sloth Megatherium americanum. The importance of these Grade-1 listed sculptures as the first life-sized reconstructions of extinct animals in the history of science, education and entertainment cannot be over-stated. More personally, I have lived in and around Penge most of my life, and Crystal Palace Park and its dinosaurs have been a captivating and comforting backdrop for weekend walks with friends and family, attempts to keep fit and nearly every day pushing my young son around whilst on maternity leave. I am thrilled to form part of a dedicated team to help protect, promote and conserve them. I am a palaeontologist working at University College London, although the fossils I study, coccoliths, are rather too small to end up as sculptures in the park. I have strong interest in history of geology and of London. The Crystal Palace sculptures are a wonderful piece of that heritage, and it is good to be able to help ensure their future. 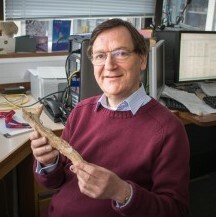 In addition to my palaeontological background I have experience as a trustee of other charities, including the Camphill Village Trust and I am leading a substantial project, Mikrotax, which is putting data on microfossils on the web. I’m a university professor with expertise in the history of evolutionary biology and palaeontology. This includes Darwin and Darwinism. I’m fascinated with the period 1800-1850, when British geologists led the world in thinking about “deep time” – the idea that Earth has a long history, and fossils are bits from previous chapters in that history. This takes history far beyond science, into questions about the meaning and purpose of life on Earth. Indeed, the statues in Crystal Palace Park spoke to those questions as much as they illustrated some of the most exciting new discoveries of science in their day. 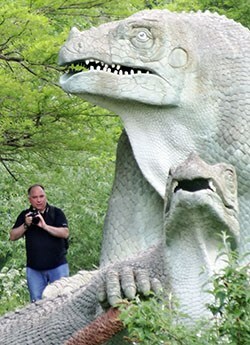 I’m a passionate advocate for the Crystal Palace Dinosaurs. In my day job, I’m Professor of History and Philosophy of Biology at University College London and Head of Department for UCL’s Department of Science and Technology Studies. I was a Crystal Palace local. The park and its cultural heritage are close to my heart. I’m delighted to do my bit to help conserve them and to promote thinking about the questions they raise. I’m a local resident with an enthusiasm for history, and for volunteering within the community. Both sets of grandparents lived in Sydenham and Penge so the dinosaurs have been a part of my life since birth. 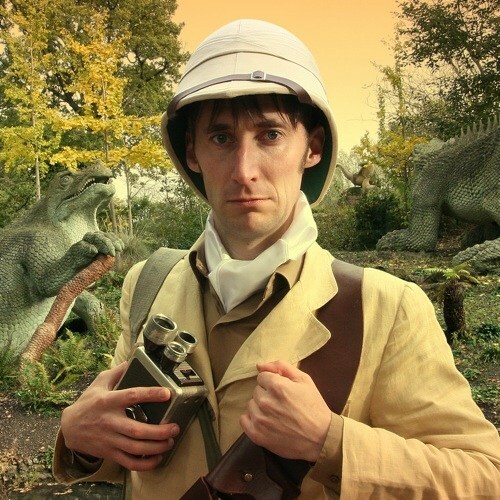 I am keen to help the charity expand upon the ways in which we can bring greater understanding of the historical significance of the Dinosaurs to a wider audience. I want to convey excitement about the statues in a way that inspires others to investigate for themselves. One of my favourite things about the Dinosaurs is imagining the impact they must have had upon a society that had not yet been exposed to any notion that such creatures had existed. Richard Owen (the man who gave us the name dinosaur) realised the sculptures were a way to bring scientific knowledge to the masses. I like to think of an unsuspecting member of the public, going for a wander in the park and finding pre-historic beasts lurking in the trees! The fact that the Dinosaurs are anatomically incorrect makes them all the more charming, and highlights the speed at which scientific development moves. 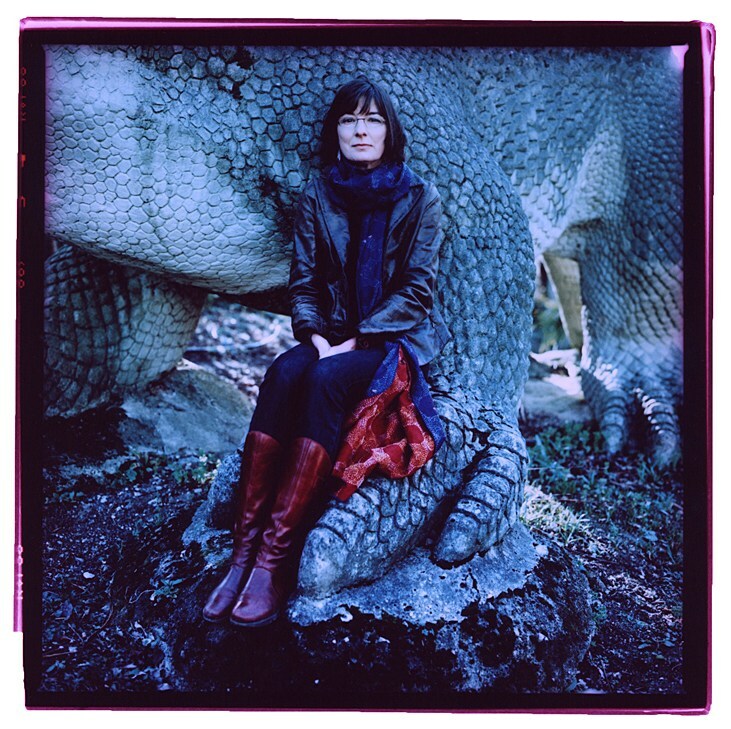 I am utterly thrilled to be a part of this important charity, and I wholeheartedly accept the challenge of assisting to preserve and promote the distinguished, delightful, divine Dinosaurs!